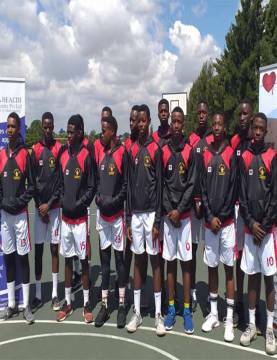 AN official send off function was held in Harare on Monday for the Conference of Heads of Independent Schools of Zimbabwe Lions boys basketball Under-17 team that leaves the country on Tuesday for the Mic Basketball tournament which runs from 18 to 21 April in Girona. The function was held at Westridge High School in the capital city where the Isaac Museba coached lads have been in camp since Saturday. Players were presented with various items provided by the sponsors including playing kit, blazers, tracksuits and warm up T-shirts. Pharmaceutical and Chemical Distributors, New Avakash International and Omega Health are the sponsors who came through for the team. 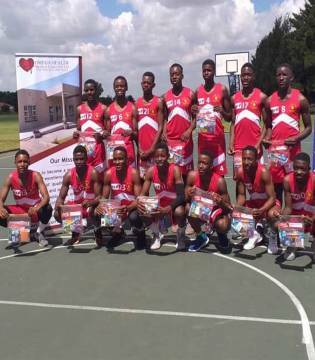 CHISZ headmaster in charge of basketball, Benjamin Davies of Westridge High School gave his sendoff speech at the function that was attended by most parents of the players before representatives from the sponsors handed over the items to the boys. Other countries taking part in this year’s tournament are Serbia, Estonia, Belgium and United States of America. Last year, two Zimbabwean teams took part in the same tournament, with one of them reaching the plate final while the other team got knocked out in the preliminary stages. Out of the squad of 14, Falcon College rule the roost with six players, followed by St John’s College, Petra and Christian Brothers College on two each while St George’s College and Hillcrest contributed a player apiece.